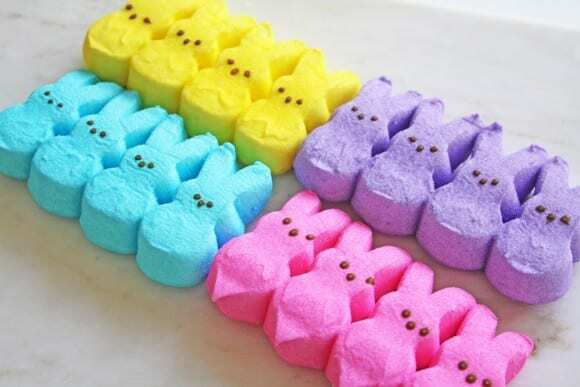 Peeps are one of my favorite things about Easter. 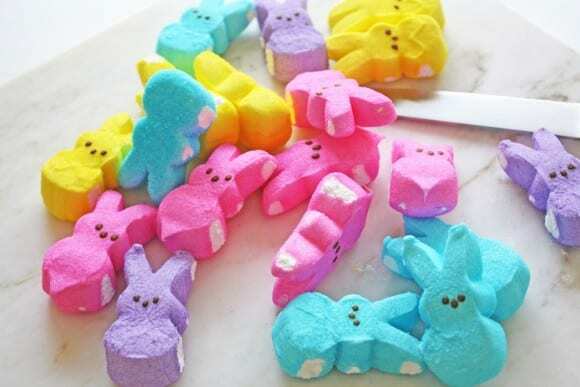 They're fun and cute and I love the colors -- it lets me know it's spring! So why not try these festive Peeps blondies to surprise your friends and family this Easter. In a medium bowl melt butter. Add brown sugar, vanilla and eggs. Mix to combine. 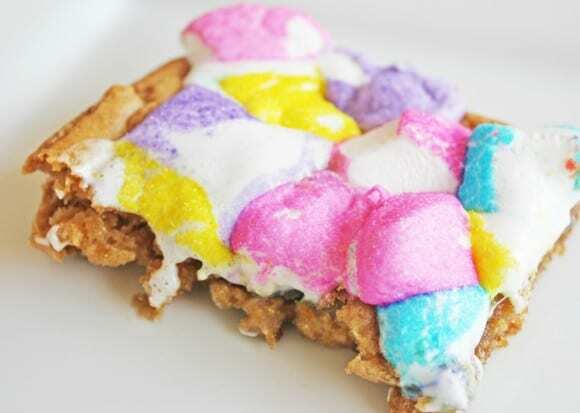 Gradually add flour and baking powder. 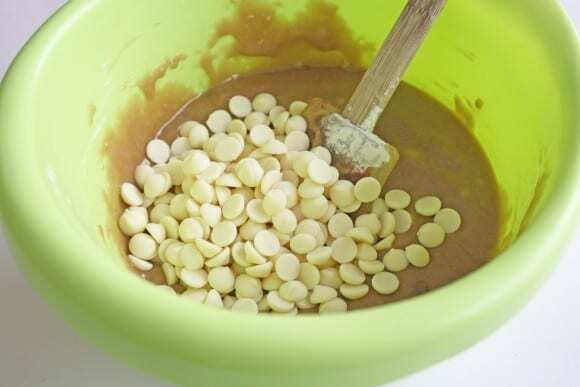 Fold in white chocolate chips. 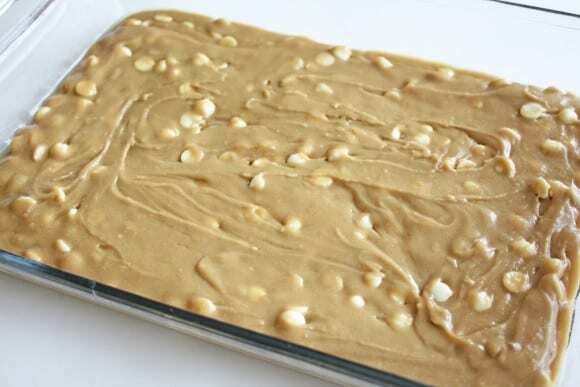 Place batter in a 13x9” greased baking dish. Bake for 15 minutes. 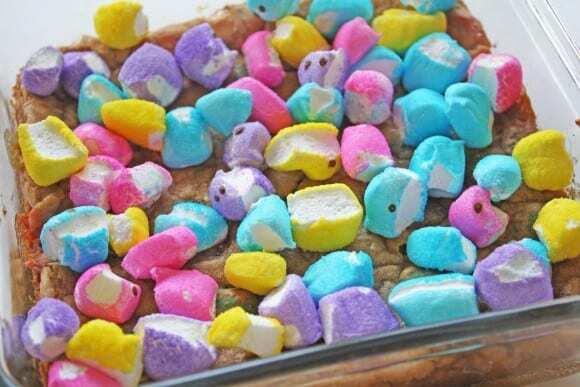 Remove from oven and sprinkle the top of the blondies with chopped up Peeps in a variety of colors. 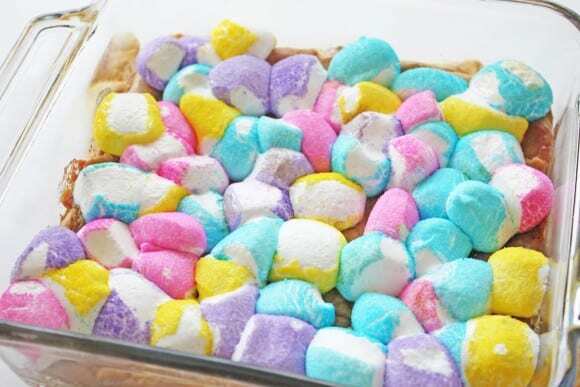 Place back in oven for 5-­7 more minutes until the Peeps expand and soften. 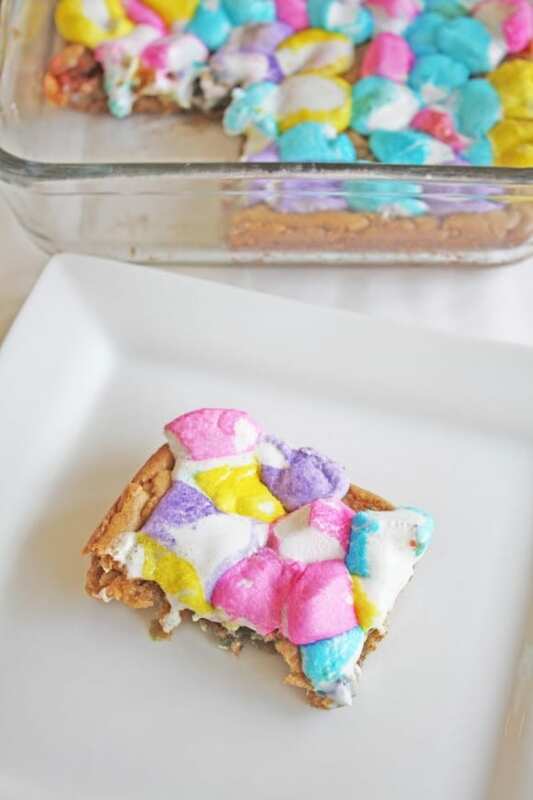 The blondies have a delicious brown sugar flavor and cookie-like texture. 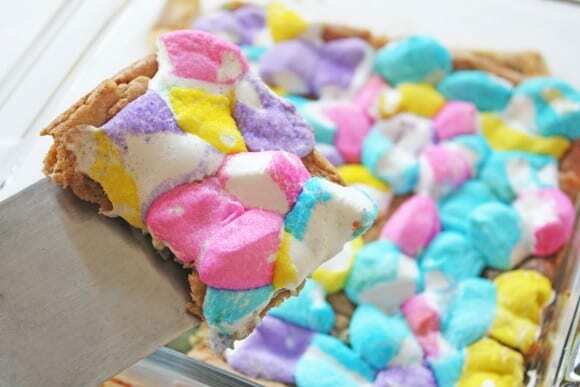 The colorful Peeps add vibrant spring colors and a touch of marshmallow sweetness! For more Easter inspiration, check out all our free Easter printables and all the great Easter parties on our site. 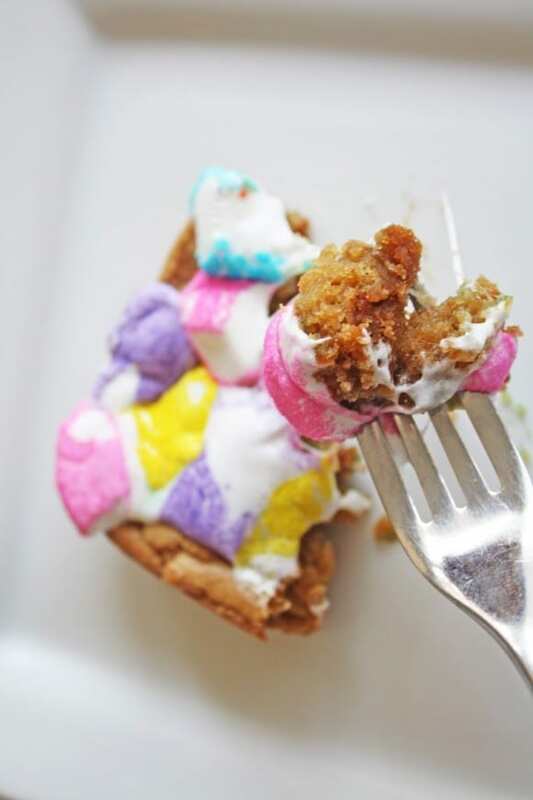 This delicious recipe was created by our style and craft contributor, Shauna at Ella and Annie Magazine! To see more of Shauna's work, check out Ella and Annie Magazine and visit them on Facebook, Twitter, Instagram, and Pinterest.